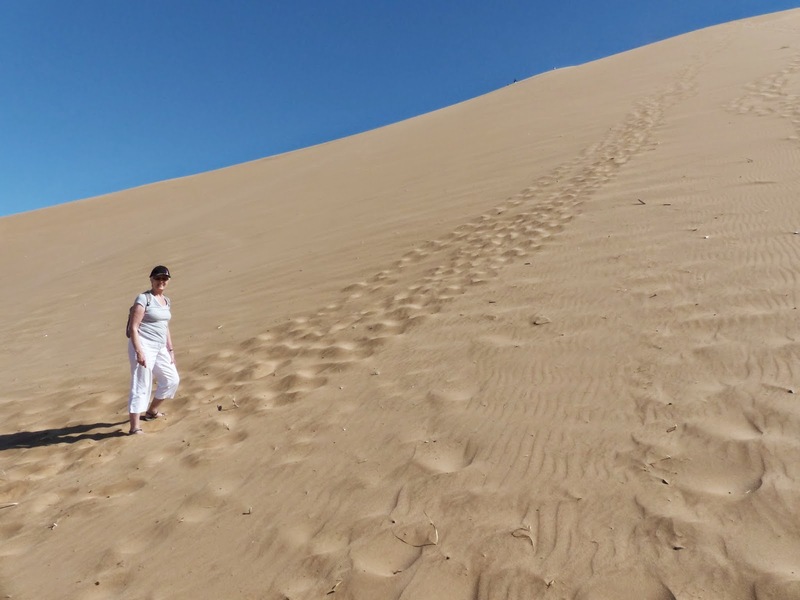 In my first posting of the year (January 2nd) I looked forward to the new year with optimism, hoping that the minerals industry would ease out of recession. 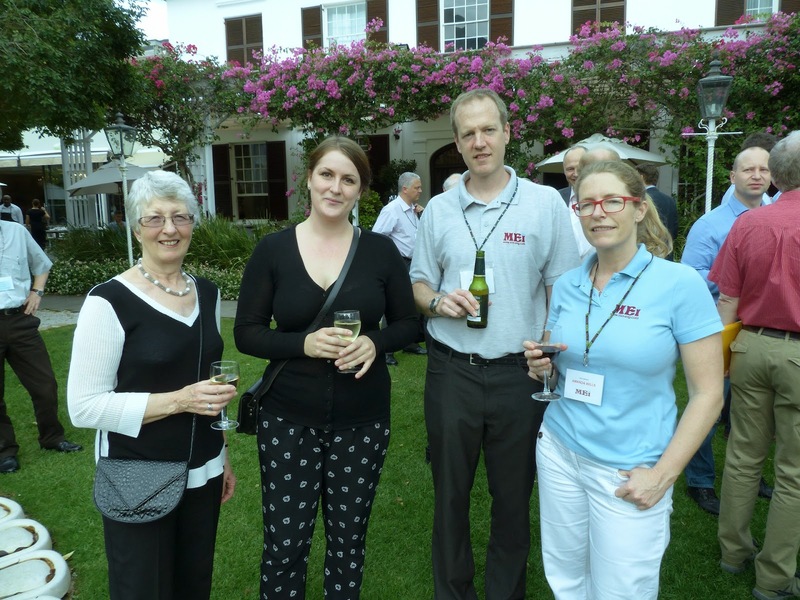 Unfortunately it has not done so as yet, so 2014 has been a hard year for many in the industry, compensated by some great get-togethers, such as this year's IMPC in Chile. 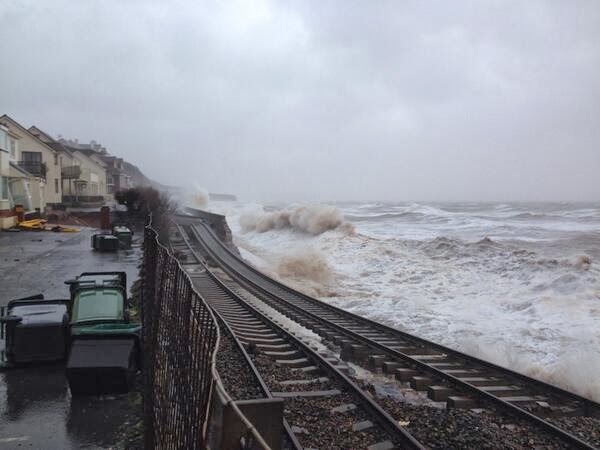 Down here in remote Cornwall, the first two months of the year (postings of 7th January, 5th February, 8th February) were dominated by fearsome Atlantic storms which caused widespread destruction, including devastating floods, and closure of the main railway line from London to Penzance which effectively turned Cornwall into an island. 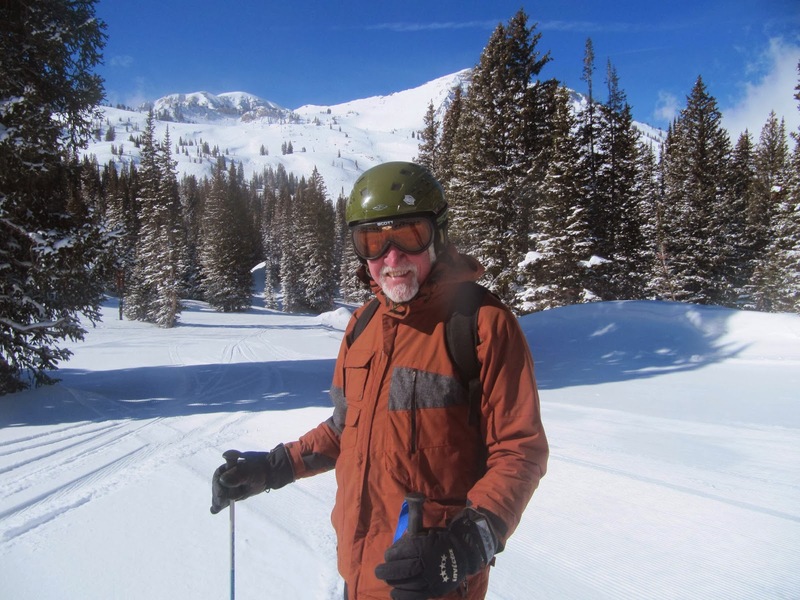 So it was good to get away for a week or so at the end of February, to do a little skiing in Utah before attending the SME Annual Meeting in Salt Lake City, where I was pleased to see a number of mineral processors receive well deserved awards. 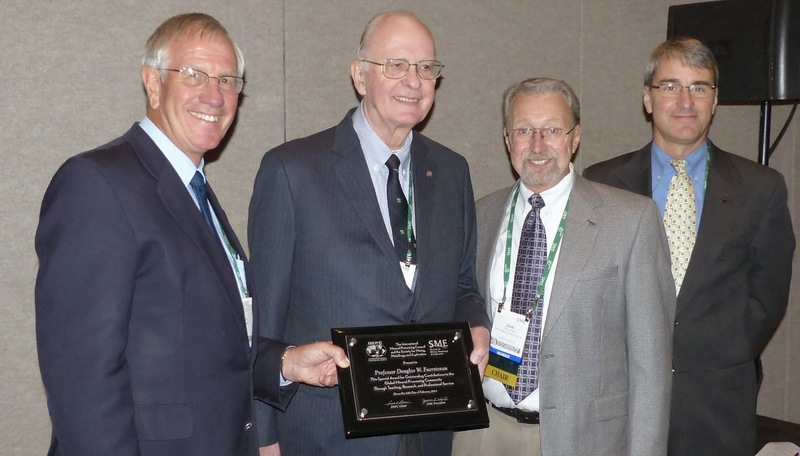 Although they were unable to be present, Australia's Prof. Graeme Jameson and Prof. Alban Lynch were inaugurated into International Mining's Hall of Fame, Prof. Doug Fuerstenau was presented with a special award from the SME/IMPC and the SME's prestigious Antoine Gaudin Memorial Award was received by Osvaldo Bascur. 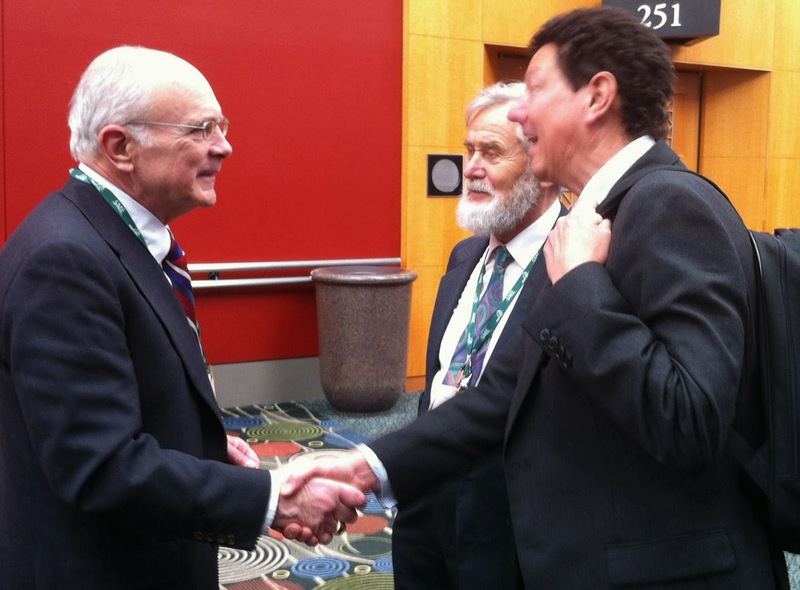 Although total delegate numbers, almost 6000, were down on last year's meeting in Denver, there was a record number of exhibition booths, over 800. Unfortunately I missed catching up with University of Utah's Prof. Jan Miller, who made a brief appearance, the good news that he was slowly recovering from his horrific car accident in Tibet last year. 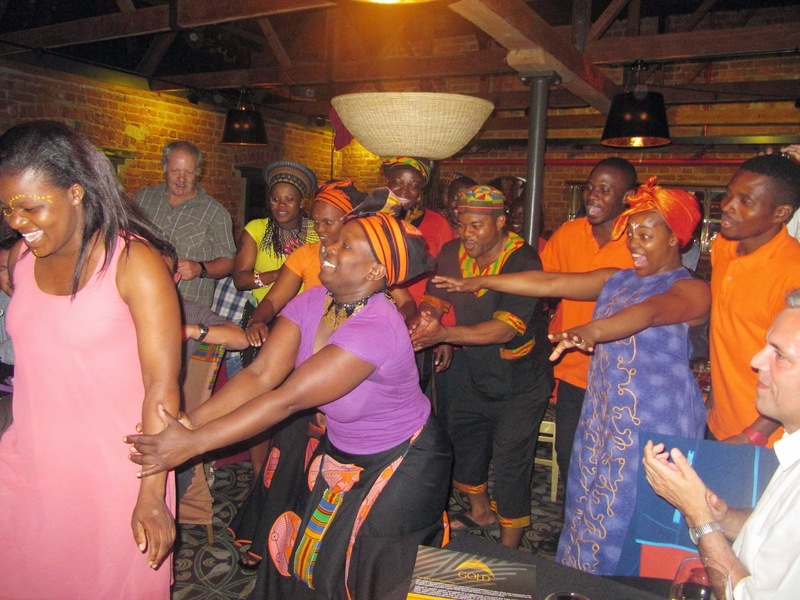 The MEI team was in Cape Town in April for Comminution '14, attended by 226 delegates from 27 countries. 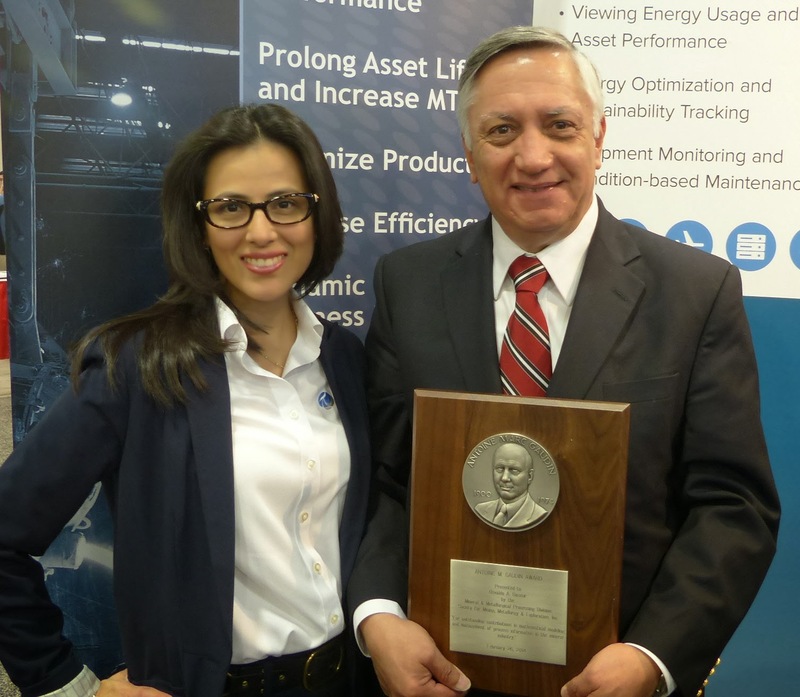 One of the highlights for me was presenting Dr. Rodrigo Carvalho, of the Universidade Federal do Rio de Janeiro with the 2013 MEI Young Person's Award. 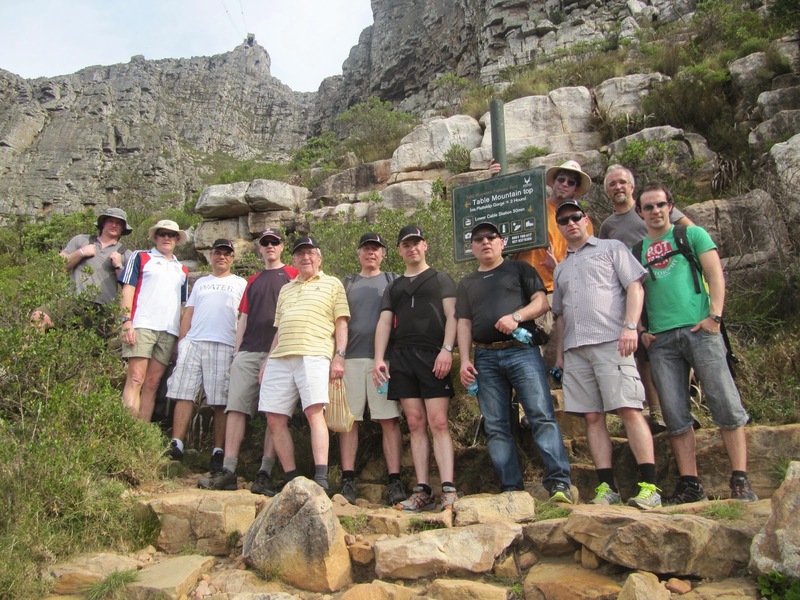 Other great memories are of the very enjoyable conference dinner at Cape Town's Gold Restaurant, and the hike with hardy delegates to the top of Table Mountain. Congratulations to the 10 who made it to the top, including our oldest ever Table Mountaineer, John Starkey. 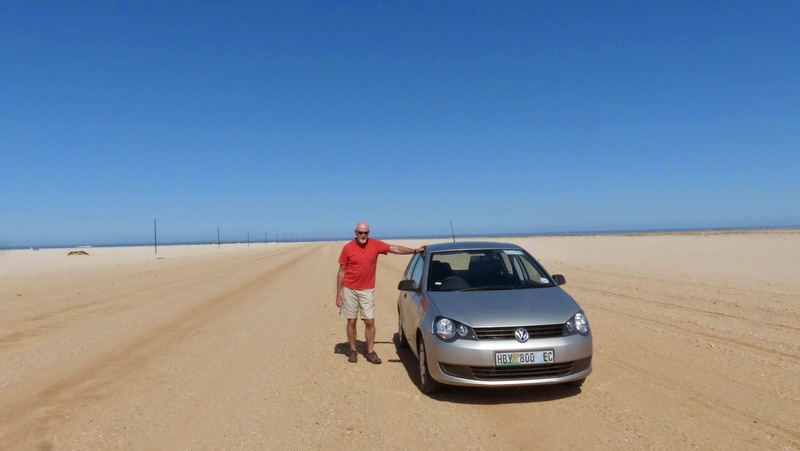 From Cape Town Barbara and I flew to Windhoek, rented a car and spent 9 days driving 2000 km around northern Namibia, on roads much more inferior than those that we had driven on in the south two years earlier. 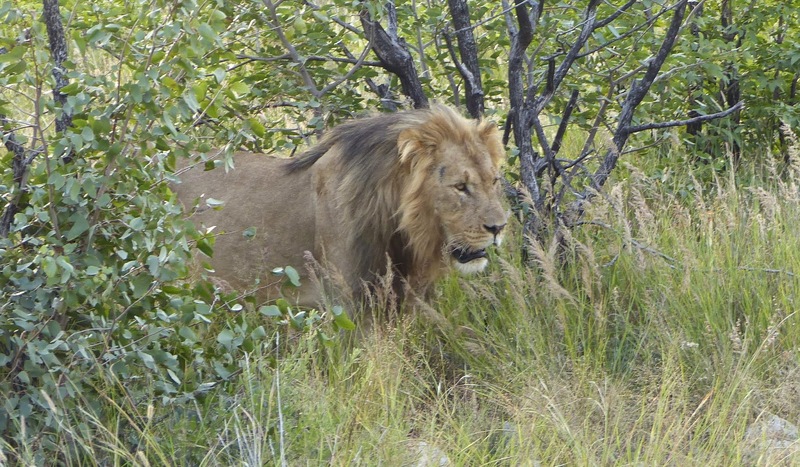 A memorable trip but not as exciting as the far north of South Africa, particularly Limpopo which we experienced in 2011. 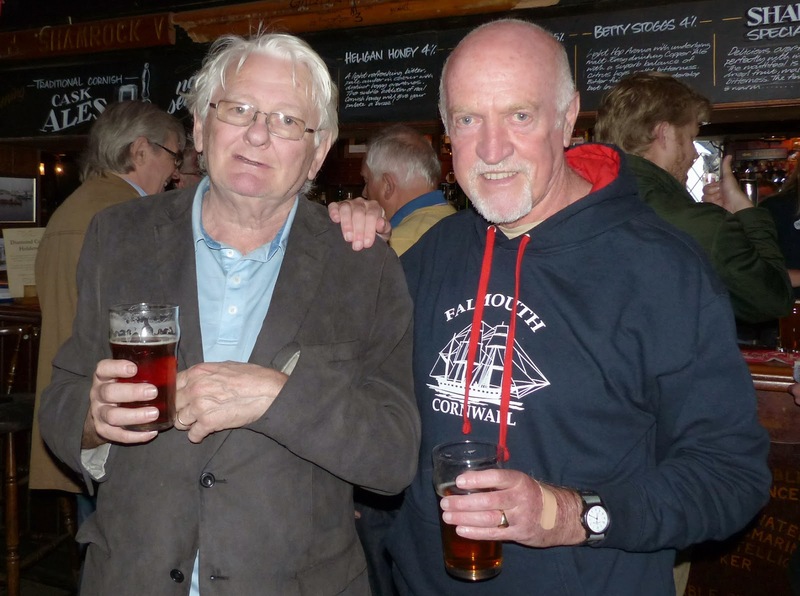 There have been some great monthly mining sundowners this year at Falmouth's Chain Locker pub, none more so than in May which coincided with a reunion for CSM graduates who had commenced their course in 1964. One of these, Ron Easteal, had travelled all the way from Canada for the reunion. 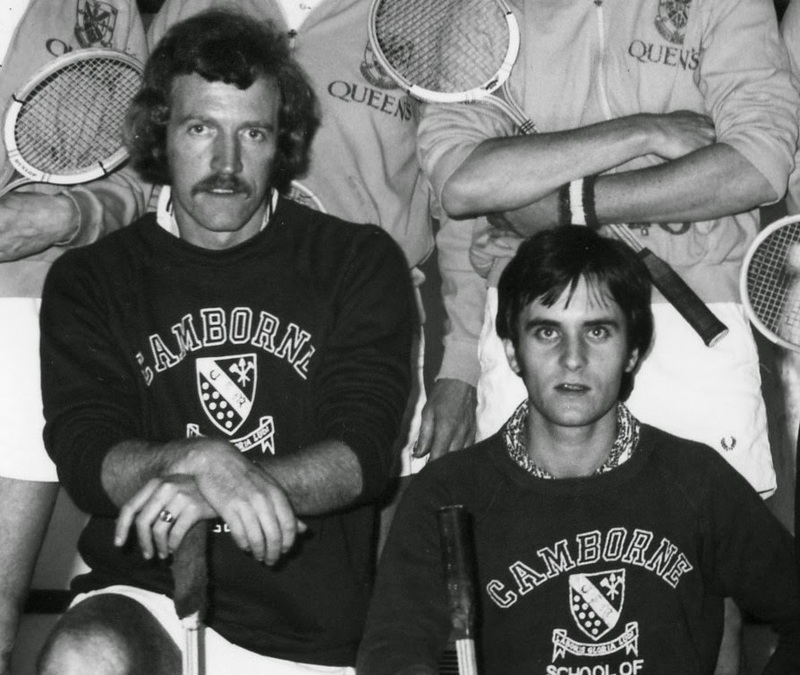 Thirty seven years ago he had travelled to Cornwall as one of the Queen's University squash team, which thrashed the CSM team that I was a part of. 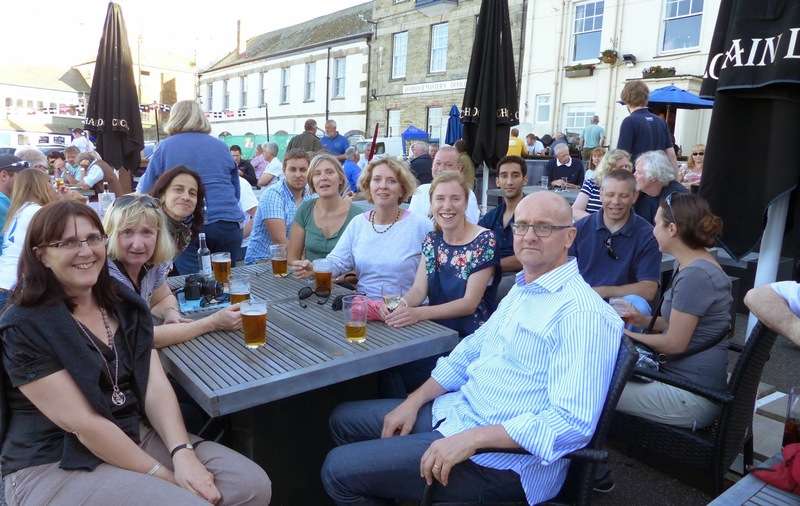 Process Mineralogy '14 was 6 months away in May, so it was good to receive visits from Will Goodall and Al Cropp of conference sponsors MinAssist and Carl Zeiss respectively, and to catch up with keynote lecturer Prof. Pertti Lamberg at the Chain Locker. 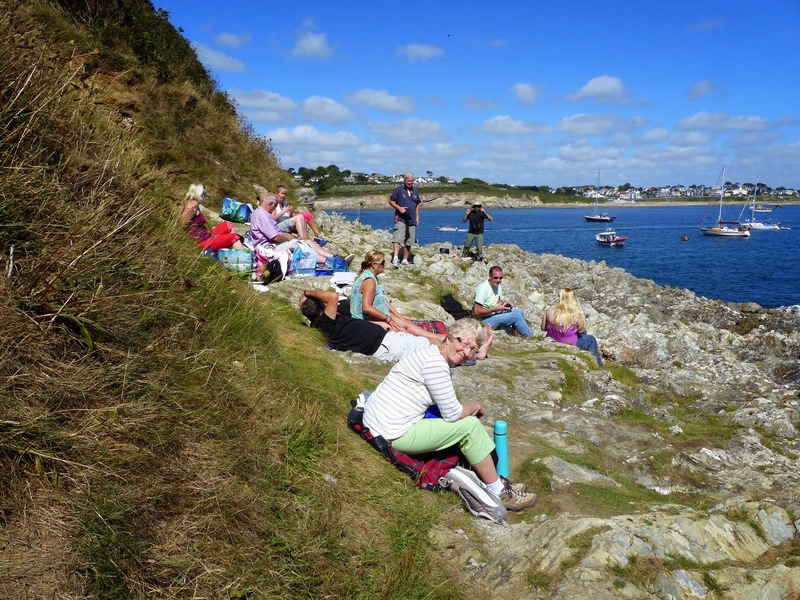 The Chain Locker was well utilised in June, the destination for the coastal path walks at the end of the first days of our two conferences Biohydromet '14 and SRCR '14. 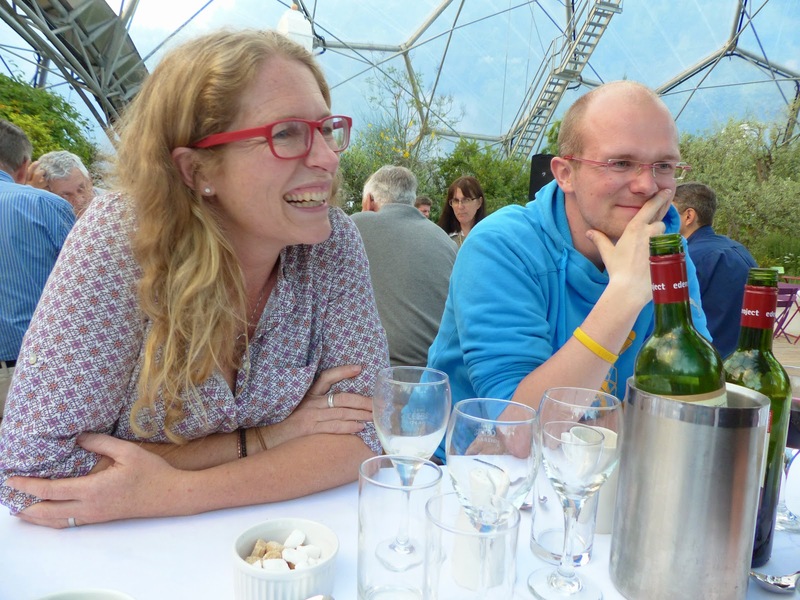 Cornwall's famous Eden Project provided a wonderful venue for the Biohydromet '14 conference dinner. 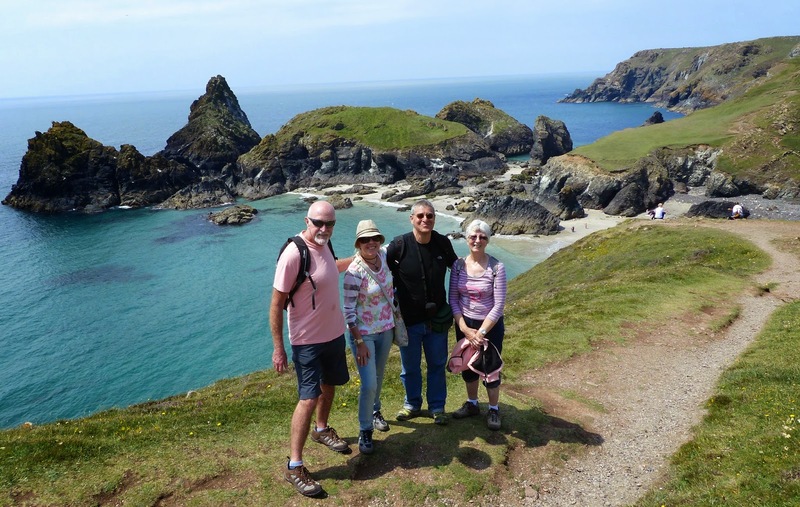 Prof. Mauricio Torem became the new editor of International Journal of Mineral Processing (IJMP) earlier in the year, and after SRCR '14 it was a pleasure to take him and his wife Ana to Cornwall's glorious Lizard peninsula, the most southerly part of Great Britain. Britain's first new metal mine for more than 40 years is scheduled to open next September. 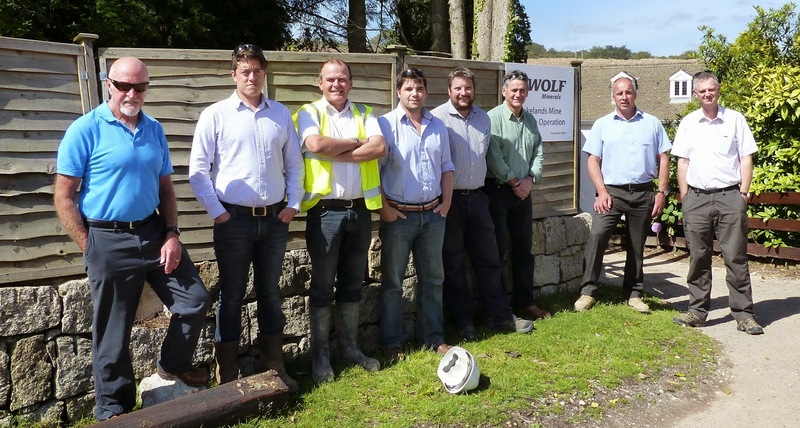 The Drakelands Mine on the edge of Dartmoor in Devon is projected to be the world's largest producer of tungsten concentrate and in July I travelled the 75 miles from Falmouth to meet up with Process Plant Manager Charlie Northfield and to see how things are progressing. Charlie graduated from CSM in 1980, and now leads a team with many old boys from Camborne. 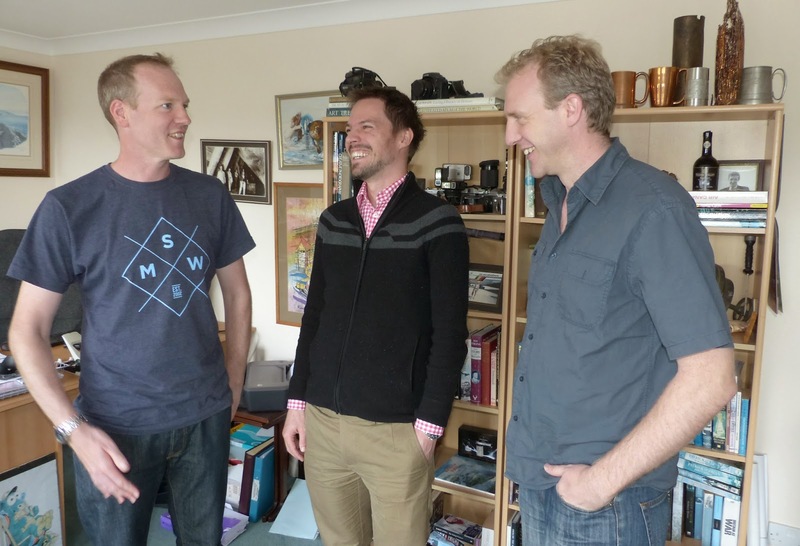 He will be presenting a paper on the operations at next year's Physical Separation '15 in Falmouth. 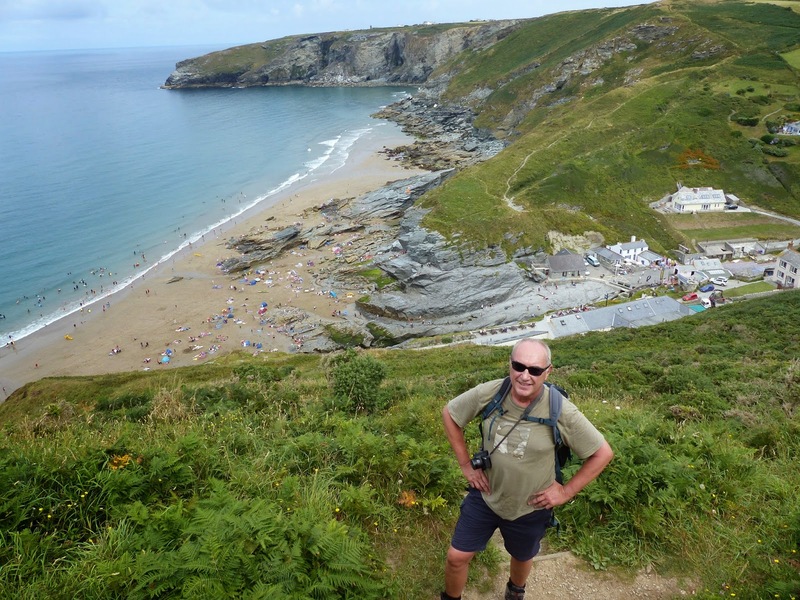 We had some great coastal path hikes during the year, but none harder than in July, when Elsevier's Dean Eastbury and I walked the 9 miles between Tintagel and Port Isaac, said to be the most gruelling section of the whole 630 mile South West Way. 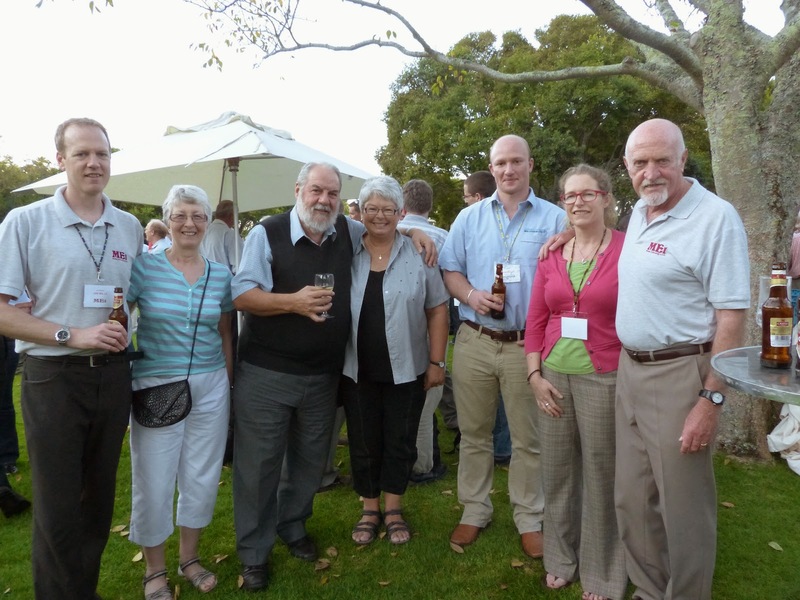 Jon represented MEI at the AusIMM's Mill Operators Conference in Townsville, Queensland at the beginning of September, so missed a wonderful week in Falmouth culminating in the start of the Tall Ships race to London Greenwich. 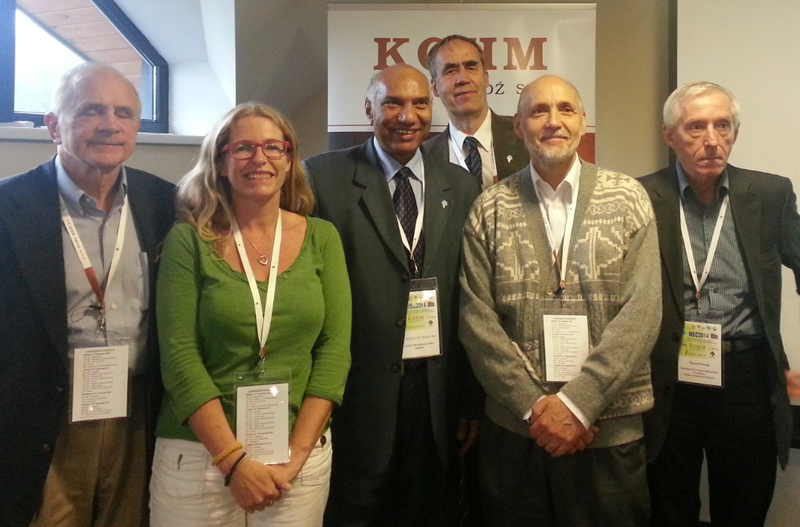 In late September Amanda was in Poland, representing MEI at the Minerals Engineering Conference in Istebna. 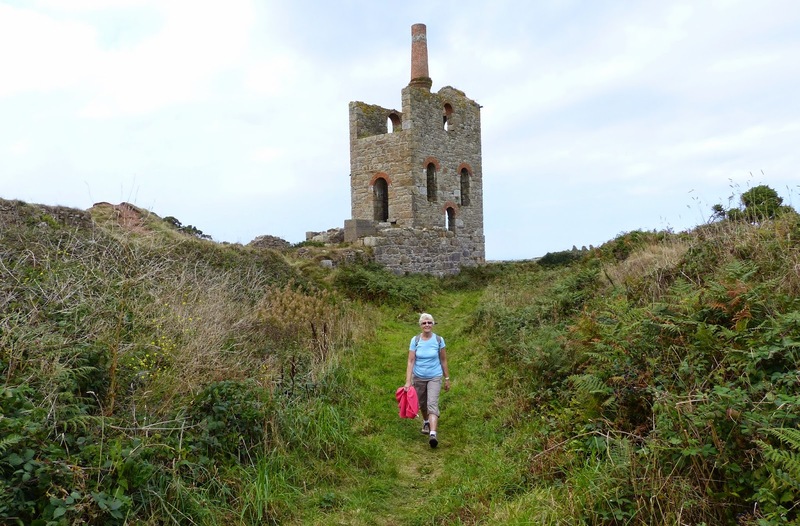 I must mention and recommend a short walk that Barbara and I did in early October, along the intensively mined stretch of coast near Land's End, which takes in Cornwall's submarine mines, those that mined tin and copper in lodes which extended beneath the ocean floor. 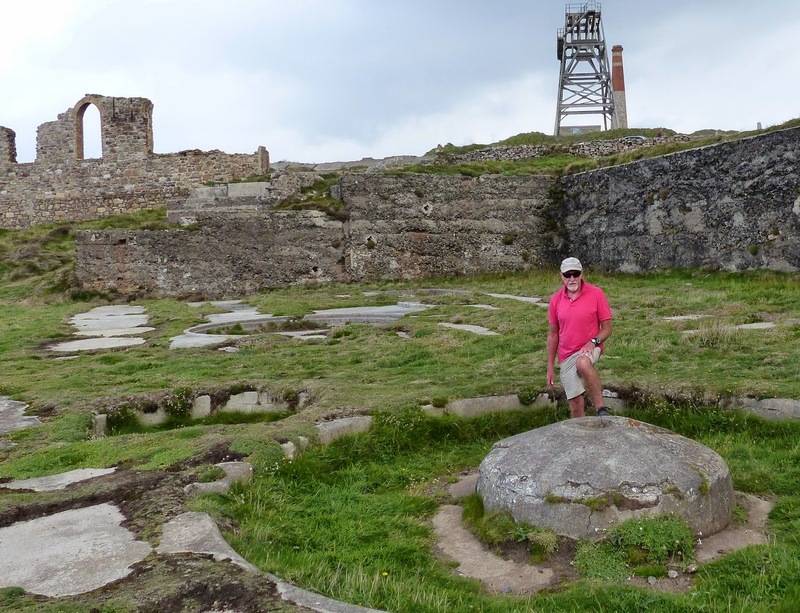 This is a must if you are interested in the industrial archaeology of Cornwall. The big event of the year was the XXVII International Mineral Processing Congress in Santiago, Chile, attended by around 1100 delegates. 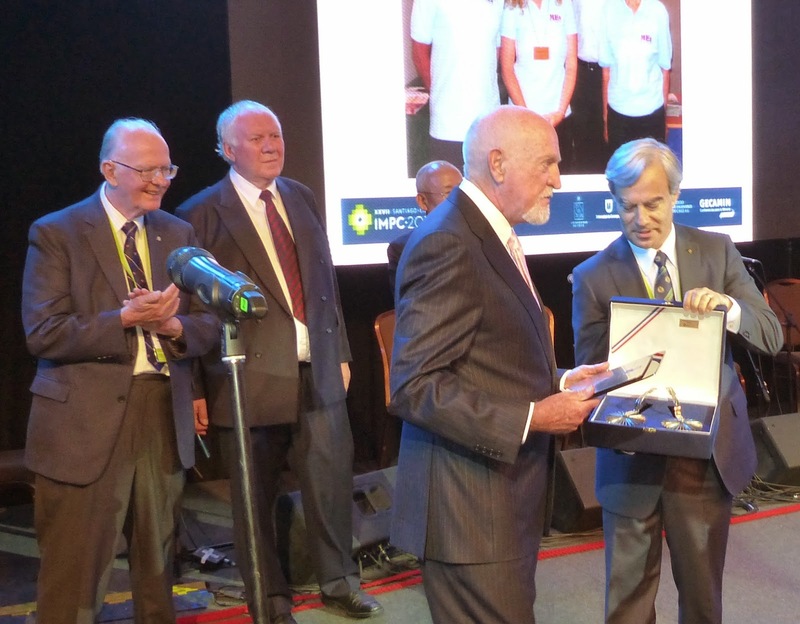 For me the highlight of the week was the Gala Dinner, where I was proud to receive the International Mineral Processing Council's Distinguished Service Award. Congratulations also to Prof. Roe-Hoan Yoon on receiving the Lifetime Achievement Award, and all the young researchers who were awarded for their presentations. The awards were the icing on the cake of a fabulous week of Chilean entertainment, good food, good wine and good company. 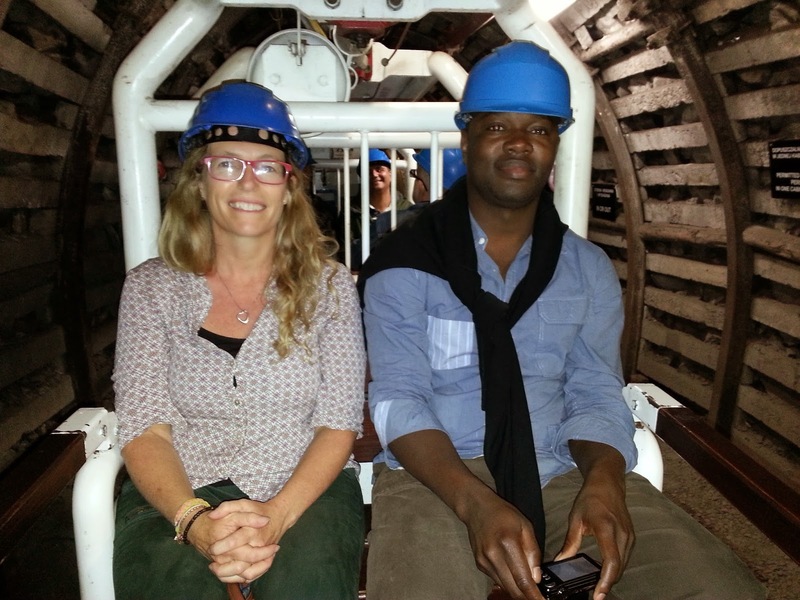 In November I was pleased to announce that for the first time I have an Associate Editor, Dr. Pablo Brito-Parada to assist me with Minerals Engineering, while Jon's partner Dr. Kathryn Hadler was appointed Associate Editor of IJMP. 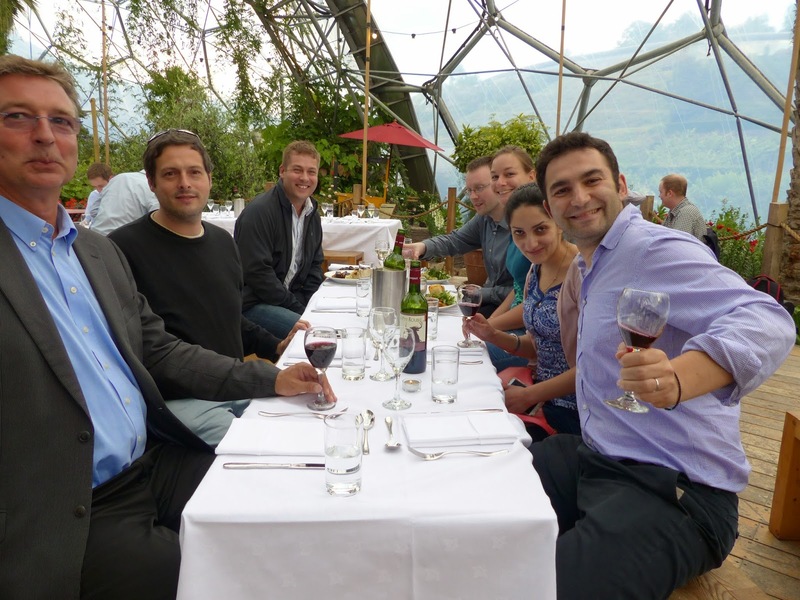 In mid-November we were back to Cape Town for Process Mineralogy '14, which included dinner at an exciting new venue in Kirstenboch Botanical Gardens, only a few minutes coach journey from the Vineyard Hotel, and after the conference an easy hike with delegates on the Table Mountain contour path. 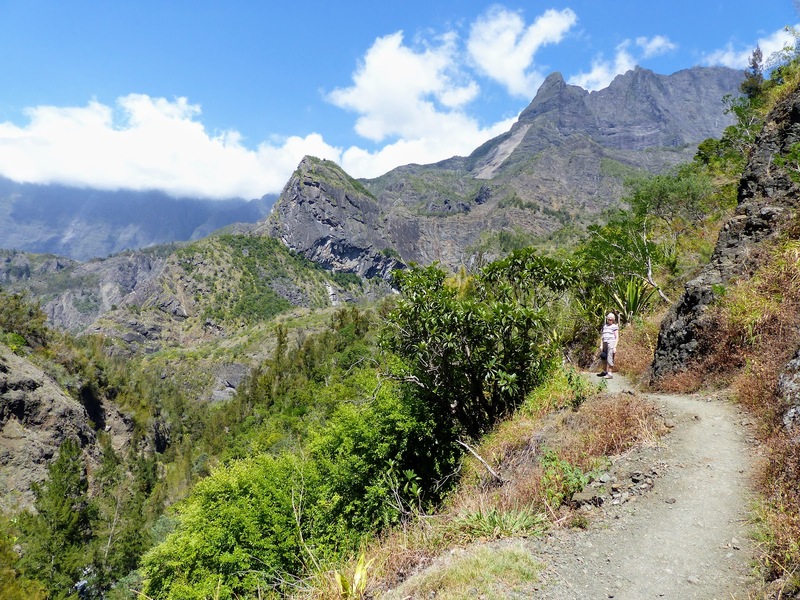 Following the conference, Barbara and I spent a week on the French island of Reunion, a volcanic island in the Indian Ocean with some great hiking trails. 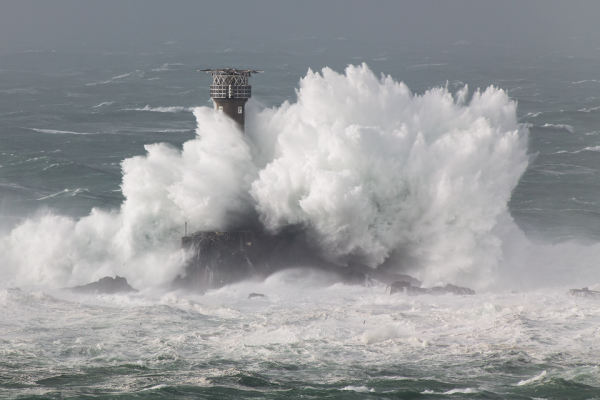 And now we are back in Falmouth, and battening down the hatches for what might be another winter of storms! All at MEI look forward to meeting up with people around the globe in 2015, and wish you all the very best for the New Year. The MEI family take this opportunity of wishing you all the very best wishes for the Festive Season, and a happy and prosperous New Year. 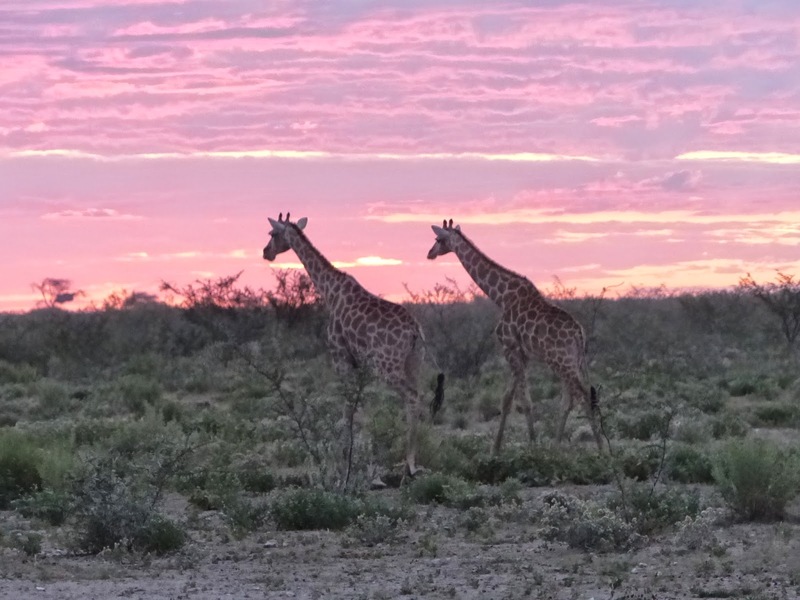 We hope to catch up with as many of you as possible in 2015. 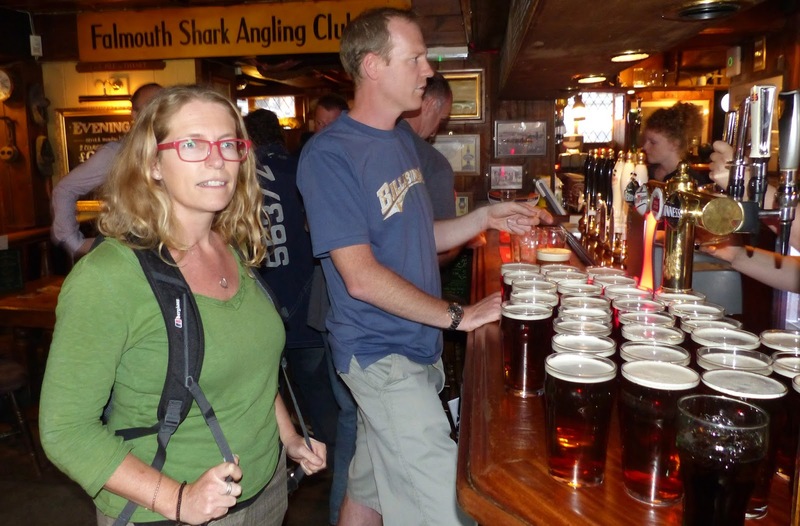 Around a dozen hardy souls braved the atrocious weather last night to attend the last Sundowner of the year in Falmouth's Chain Locker. It is many years since I last saw Colin Belshaw, who made his debut last night. He was my squash nemesis in the late 1970s, knocking me off the number 1 spot in the Camborne School of Mines squash team during his undergraduate days. Colin graduated in 1978, and after an interesting career as a mining engineer is now retired, which makes me feel very old. I hope to see him at future events, as he is living fairly close by, in a small village between Truro and Falmouth. My old friend Dr. Alan Butcher, Principal Petrologist at FEI, called in today during a break from meetings at nearby Camborne School of Mines. The University has just invested in a high resolution scanning electron microscope for environmental research. Alan was a colleague of mine at CSM. He left 16 years ago to take up a position at CSIRO in Australia, then was a leading player with Intellection until it went into receivership. Now he is FEI's most experienced mineralogist, and is looking for new areas for the commercial exploitation of rocks, particularly on the basis of their mineralogy and textures. 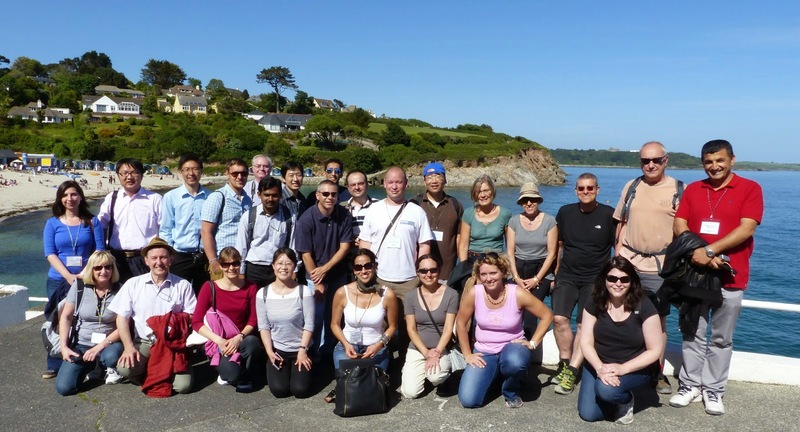 FEI originally specialised in automated mineralogy for mineral processing, and has always been a major sponsor of MEI's process mineralogy conferences, including last month's Process Mineralogy '14. 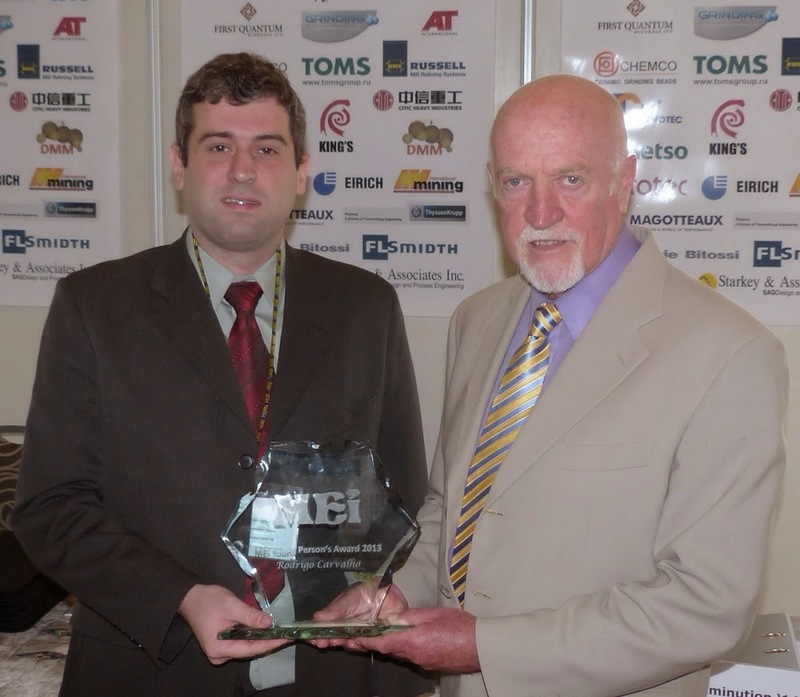 Due to the increasing competitiveness of the minerals market, FEI has expanded into other areas, such as rocks holding oil and gas, and also into the increasingly important area of micro-computed tomography, of which Prof. Jan Miller has been a pioneer in the mineral processing sector. We look forward to the company's sustained involvement with MEI and to news of interesting applications at Process Mineralogy '17. Is recovery on its way for precious metals? This has not been a great year for precious metals but there are signs that recovery might be on the way. Platinum is recovering from its lowest ebb in 3 years which occurred just under a month ago, and the gold price seems to be hanging on to recent gains. Falling oil prices have reduced production costs, but the 3- year price decline is pressurising operations to come up with innovative ways to cuts costs, so MEI's Precious Metals '15 conference in May could well be at a very opportune time for researchers and operators from around the world to meet and discuss common problems and innovations. Prof. Jacques Eksteen's keynote lecture on innovations in the processing of difficult and low grade gold ores will be very topical, and we have received abstracts from authors from Australia, Finland, France, Germany, Japan, Korea, South Africa, UK and USA on a wide range of topics dealing with the processing of gold and PGM ores. We will be putting the provisional programme together in a couple of weeks time, so if you would like to be included, please submit your abstract without delay. 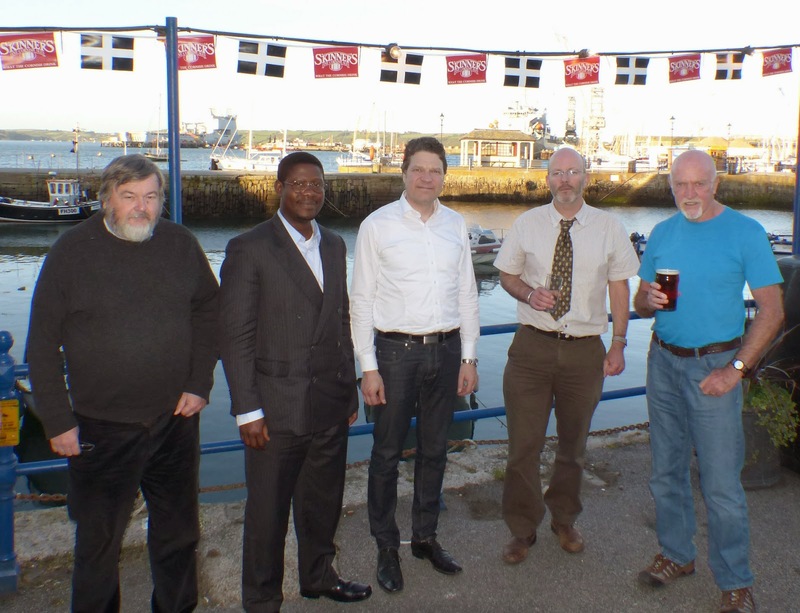 Precious Metals '15 precedes Nickel Processing '15 at the same venue in Falmouth. The world is noticeably winding down now in preparation for the longest holiday of the year. I have effectively shut down Minerals Engineering journal until the New Year, so apologies if you have just submitted, or are about to submit, papers- finding reviewers willing to referee manuscripts over the Christmas period is not an easy task. It is also the 'office party' season, and on Friday the MEI family had a quiet Christmas lunch together at Falmouth's lovely restaurant The Cove. Yesterday was lunch again, this time in Redruth for the annual Camborne School of Mines Association Christmas lunch, always a good time to catch up with faces from the past, including 91-year old former lecturer and colleague Ron Hooper (pictured first left below with Tony Batchelor and Nick Eastwood). And also a good time to catch up with the latest news and gossip. This year I was pleased to hear that CSM will be starting up its MSc course in Minerals Engineering again next September, making it the only University in the UK offering a teaching course in mineral processing.